Books were once the exclusive domain of men. As recently as the 19th and early 20th century, women in this country were discouraged from reading, and some were not even taught or allowed to go to school. Fortunately, huge progress has been made in this area. So much so that reading is sometimes considered too "girly" by young boys and men. Elementary education is staffed by many committed and intelligent female teachers and administrators. And United Way has two reading mentor programs—Power Read and Book Buddy—with a majority of dedicated female volunteers. Sharing books with a male role model allows all children to connect to reading in a special way and encourages boys to see reading as something that men enjoy, too. Although there are dedicated male mentors in these programs, as well, United Way decided kids should see more men modeling good reading skills and serving in mentoring roles to show that everyone reads. So United Way started the Read Men Read program in January of 2018. Jon Sullivan, a retired lawyer from Ankeny, stepped right up to the challenge. 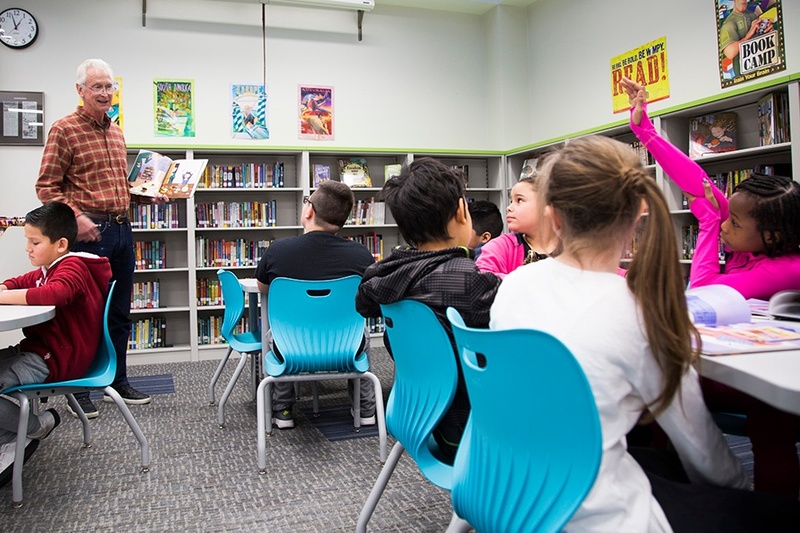 He had read one-on-one with a student in United Way's Power Read program the year before but was intrigued by the idea of standing up in front of a class of kids. Jon reads to a fourth-grade class once a month as part of Real Men Read. 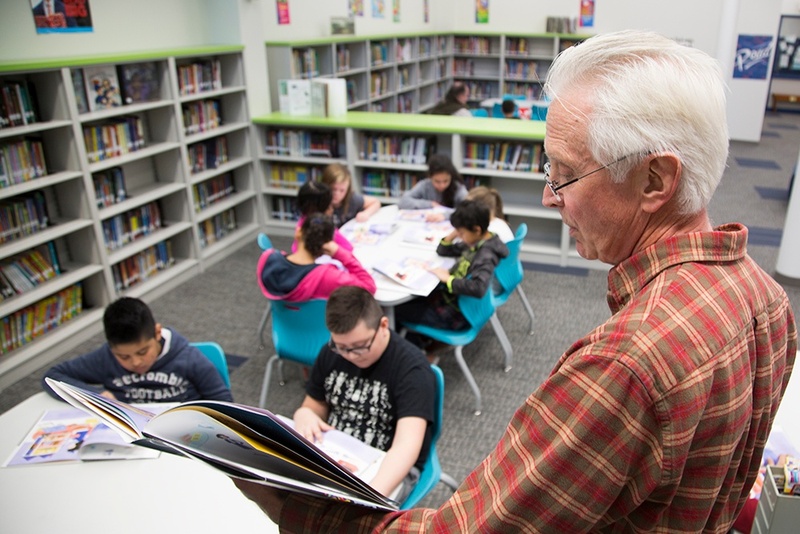 Each student receives a copy of the book, and Jon reads it aloud, going through the lesson plan United Way provides. "They suggest questions and things to point out during the course of reading the book--and what to talk about once you're done," says Jon. "So there is definitely some structure to it." The program is focused on career possibilities, so kids can start learning about options beyond the familiar choices. The first books was about Grace Hopper, a pioneer of early computing. Jon says the students were enthusiastic about that one. The second book was about Steve Jobs. 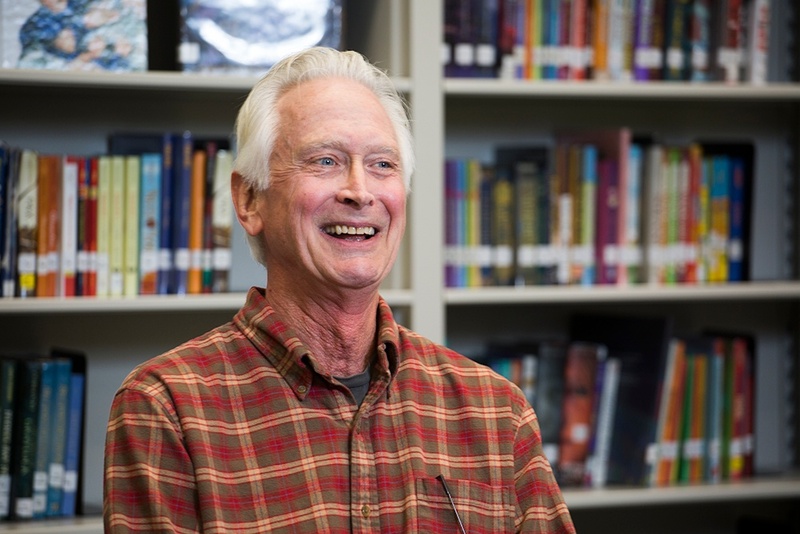 "It is a privilege to just be welcomed to their classroom," Jon says. "They paid attention, they participated, much more than my own kids when they were that age." Jon says that volunteering has been both fun and gratifying. He likes being a male role model for the kids. "If even one or two of them gets a little bit more interested in reading, what could be more gratifying than that?"